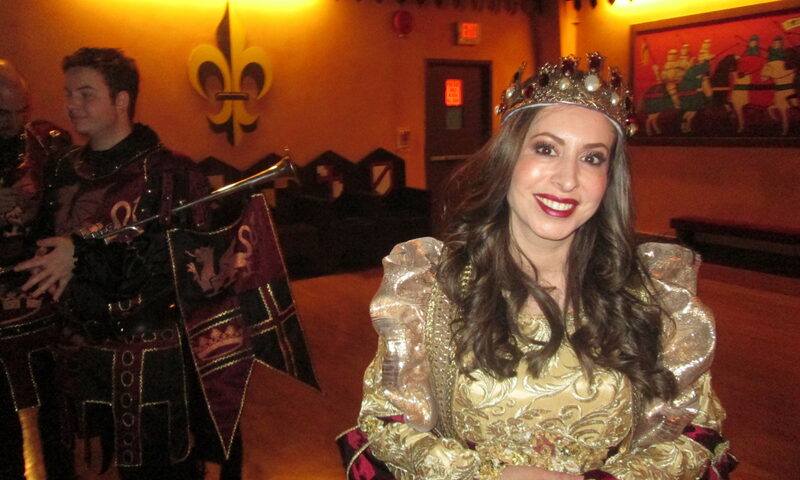 Medieval Times Ticket Giveaway – The Queen’s in Charge! 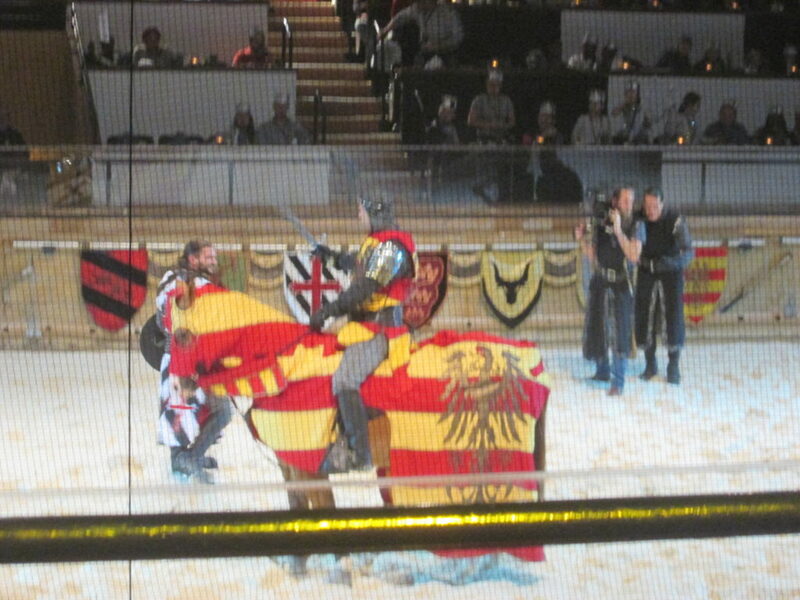 If you’ve been to a Medieval Times show before, you’ll know there are a bunch of knights, and the king is in charge. There’s a pretty princess, but her role is relegated to handing out flowers and playing a ceremonial role. After the last show we went to, my kids debated why there weren’t more women in the show, and specifically why there were no women knights (even though historically women knights weren’t a thing). Apparently my kids weren’t the only ones wondering about a strong female presence in the show. 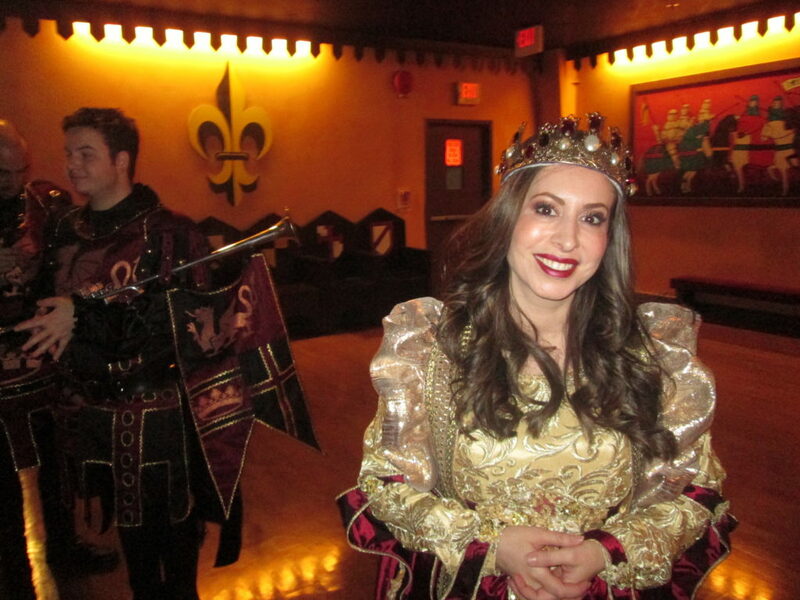 For the past 18 months, Medieval Times has been writing and coordinating a new show featuring a queen, and it debuted last Thursday. 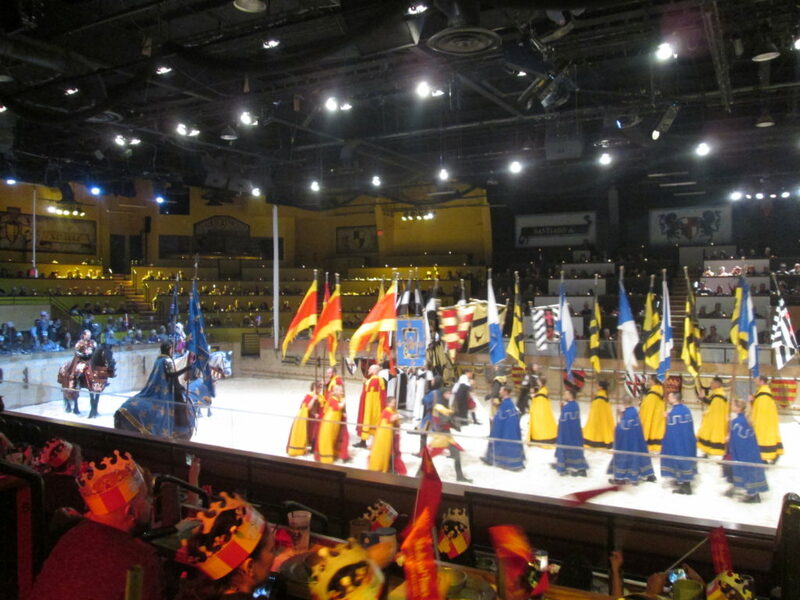 We were Medieval Times guests the next night to meet the queen and knights, and to see the show for ourselves. 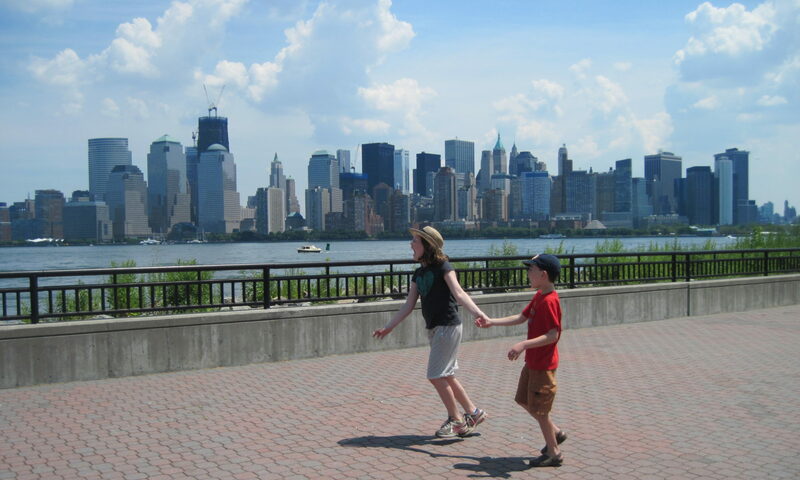 We have a family four-pack of tickets to give away – see the bottom for details! If you don’t know about Medieval Times, it’s a dinner and entertainment show, with horses, knights, a falconer, jousting and more. The actual dinner/show is two hours, and you can come earlier to explore the castle. The show is completely new – new costumes, armor, plot, music etc. (The food is the same). They’ve been practicing during the day for three months, while performing the regular show at night. The queen is in charge – her dad passed away. She’s a “firm but kind” ruler. As with the last show, the plot is secondary to the horses, fighting and theatrics. They did talk a lot, but it was kind of hard to understand what they were saying, even with the microphones – that was the same with the last show. That doesn’t really take away from the experience. There’s no king (the queen has two male sidekicks, but she’s in charge). There are new costumes – including some awesome helmets, one with antlers and one with bull horns. There’s new music (you may not notice the difference, but the music is good). The fighting sequences are shorter but more frequent (they call them “microfights”). There are fewer times that the woman (the queen in this case) throws flowers down to the knights. I think she does it for two rounds – the old show it seemed like a lot more. What’s the same? 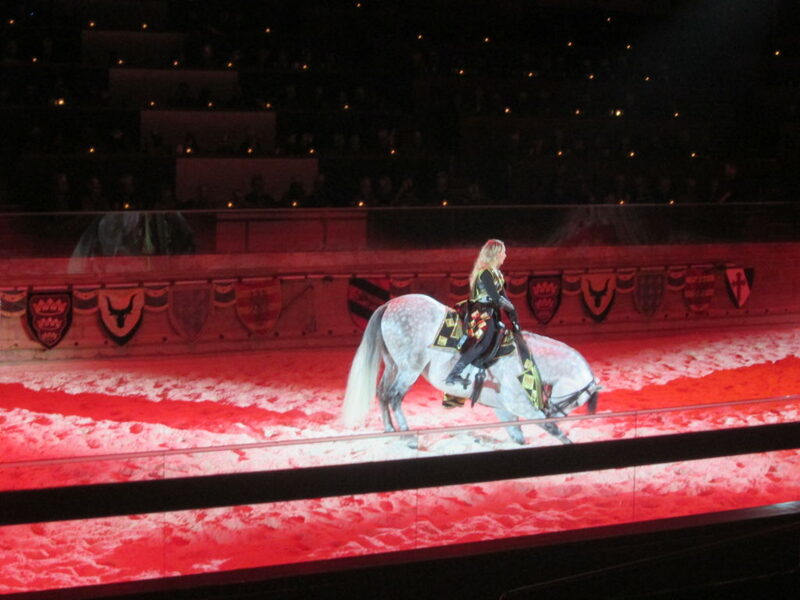 The show flow is the same – pageantry, falconry, horse performances, and then knights fighting each other in pairs. There’s a winner at the end, and a female in the audience gets crowned. The New Jersey castle has five queens – they take turns. The one we saw was a princess in the last show. The show has 300 new music cues and 500 new lighting cues. I hadn’t thought much about the music when seeing it in the past, other than enjoying it. It turns out it’s much more of a complicated process than I envisioned. It’s composed by Dr. Daniel May – he’s composed several other Medieval Times scores, as well as film scores. This score is written like a film score, in that it’s synchronized to the lights, jousting, jabs, curtain closings and queen’s entry. The music was recorded by the National Symphony Orchestra of Ukraine in Kiev, and the choir is from there as well. I’m not sure why they had to record in Kiev, when there are many many excellent orchestras and choirs here – maybe it was cheaper? 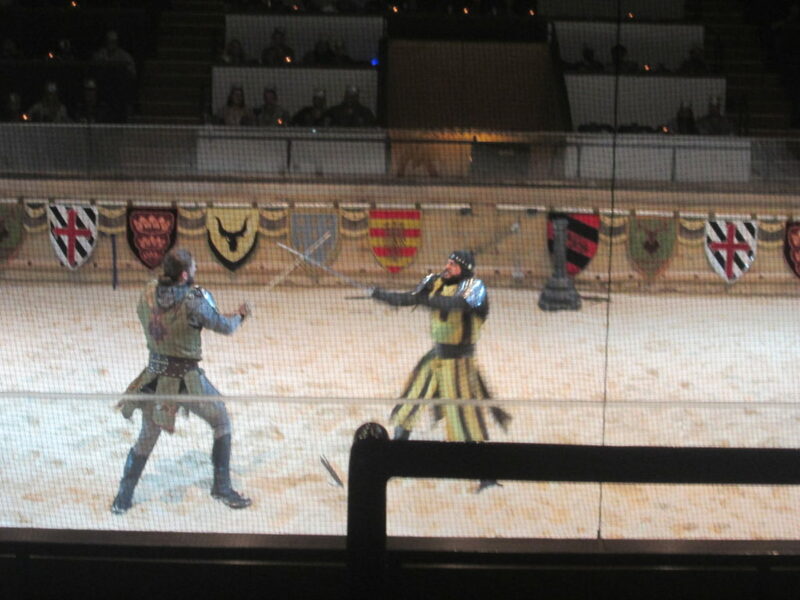 As for what to expect at a Medieval Times show, I’ll refer you to our past Medieval Times review post. **The contest is now closed and the winner has been notified. Congratulations to Rae. ** In coordination with Medieval Times, we’re offering four tickets to one lucky winner. In the comments section, please share why you want to go. Jersey Kids will pick the winner on Thursday, January 25 at 6 pm. You’ll have three days to respond to our email, or we’ll give them to someone else. Fine print: We’ll contact you via your email address to arrange to get you your tickets. The winner must give us their snail mail address so Medieval Times can physically send the tickets. When you enter, please say whether you give permission for us to share your email address with Medieval Times. If you win, and you want the tickets, you have to share that AND your snail mail address with them. But we won’t share your info with them if you don’t win, UNLESS you consent. Those who consent will get special deals and discounts emailed to them from Medieval Times (they run a lot of great deals) – and you can opt out at any time. Whether you consent in the comments section makes no difference whether you win (though if you win, we WILL share your info with them). Does that make sense? Disclosure: We were given tickets to review the show and to host a giveaway. All opinions are my own. My kids LOVE medieval times and ask to go back all the time!! Would love to take my daughter and family and show her how unbelievably strong and brave women truly are. Thanks for doing this! 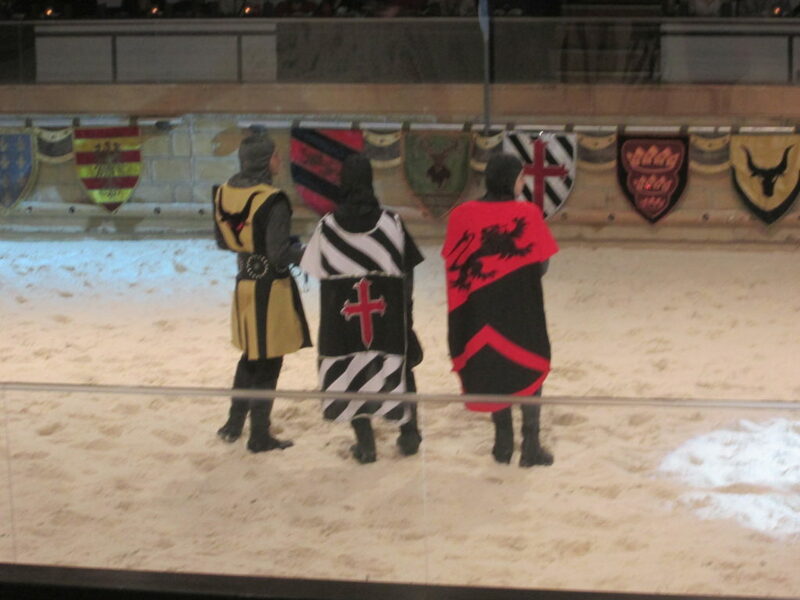 I loved Medieval Times when I was a child and would love to take my kids to create the same great memories. We would love to take our two kids to this show! Oh, fun! We haven’t made it there yet, but have wanted to go. And having a woman in charge will make both of the kids (and me!) happy. Thanks for doing this (and your reviews, which I always enjoy). My daughter had so much fun when went and I’d love to take her back to see a queen in charge! My daughter has been asking to come here for her 6 year old birthday and I know she would love to see a queen in charge. She really wanted a female president and having a Queen right here in NJ might be better! WE know a lot of people who have gone and loved the experience. In addition my daughter loves history and this might be an extra fun experience to nurture her interest! My 4 boys would love it and we have 2 birthdays in February. It would be a great surprise. I’d love to take my sons to see the knights and the falconry! Hi. It says “your comment is awaiting modification”. What does that mean? Do I need to do anything? A great and thorough review. Sounds like a lot of fun! Amy – all comments have to be approved because otherwise the spambots take over! Seems like a fun thing to do in the cold, cold winter in the barren wasteland of Northern NJ!